Mangaluru, May 29, 2017: Two bike riders lost their lives in a hit and run case reported from Pumpwell on May 28, Sunday night. 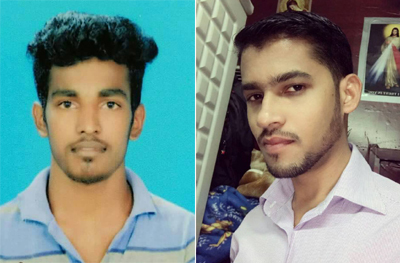 A lorry rammed against a bike and fled the spot killing bike riders Ronald (31) of Fajir and Roshwin Jackson D’Souza (21) of Bondel. Ronald was the son of Rocky D’Souza and Rufin couple while Roshwin was the son of Sebastian D’Souza. A case has been registered by Kadri police. None of the bike riders are riding in the designated lane in the highway... Lot more to come if they are against rule.. Speed thrills but kills . A truck driver has made biggest blunder of life , it has happened but at least should have had courtesy to admit them to hospital.